Fans of the Battlefield series are no doubt looking forward to developer DICE’s Battlefield 1, which is no doubt one of the most eagerly awaited video games of 2016. And taking into account that the game will feature what appears to be an epic single player campaign, dynamic multiplayer modes and a spectator mode that lets players record the action in a variety of ways, it makes sense that expectations are sky-high for DICE’s game. 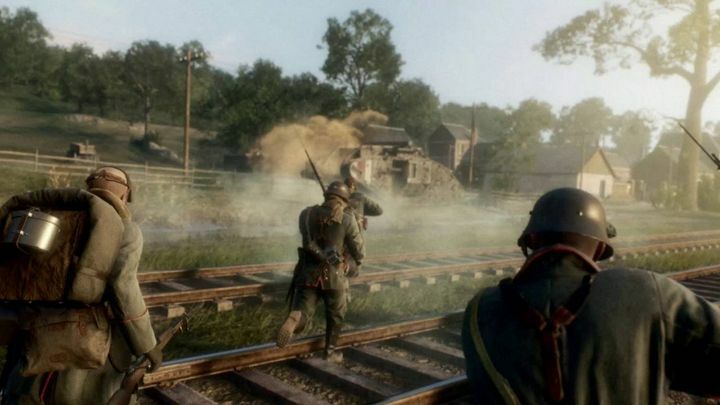 And those looking forward to play on PC will likely want to know what Battlefield 1’s minimum and recommended system requirements are in order to get the most out of the game, and thankfully DICE recently revealed what kind of machine PC gamers will need to enjoy Battlefield 1’s World War I action. The game’s minimum requirements are pretty reasonable, though, with players being able to get by with an AMD FX-6350 or a Core i5 6600K processor and a Nvidia GTX 660 or HD 7850 AMD graphics card, while whose who want a better gameplay experience will need to meet the game’s steeper recommended requirements. DICE recommends players have access to a pretty beefy PC to make the most out of the game, one equipped with a speedy Intel Core i7 or equivalent AMD processor and a healthy 16 GB of memory, plus a powerful GTX 1060 or RX 480 graphics card. This is understandable taking into that the game will make use of the latest iteration of the Frostbite engine to deliver some pretty great looking visuals as we’ve seen in Battlefield 1’s preview videos so far. Frostbite has also been used in other EA titles like DICE’s own Star Wars Battlefront and the recently released FIFA 17, both of which undoubtedly looked great. But despite the somewhat demanding system requirements, Battlefield 1 could prove to be one of the best action games of the year, and it would be a great thing is DICE’s highly anticipated game lived up to expectations and brought a smile to fans of the Battlefield series when it’s released later this month. Next: Shadow Warrior 2’s developers say DRM doesn’t work, but are they right?